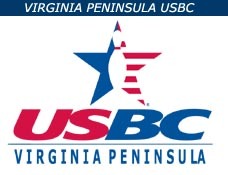 2014 USBC Women’s Championships was held at the Reno-Sparks Convention Center in Reno, Nev. and several of our Virginia Peninsula ladies made the top 100 in the final results. We would like to congratulate our highest finishing local Bobbie Deese and her doubles partner Frances Langejans from Kalamazoo,MI placing 10th in the Doubles Div III with a combined score of 1098. In 73rd place bowling in the Emerald division Team, the Feisty Fillies with Catherine Shaw, Mary Plummer, Glenda Bryant and Helen Holland Harris with a total score of 1899. 54th All Events Div IV Lynn Sykes with a score of 1516 and Sandra Cunningham 77th Doubles Div V with a score of 903. A look at the 2014 USBC Open Championship held at the National Bowling Stadium in Classified Doubles Bruce Labar Poguoson,VA and his partner Kurt Rudy of Reno,NV placed 60th with a score of 1097 and in Classified Singles placing 117th was Tom Ballowe Yorktown,VA with 579 series. This entry was posted in Uncategorized on September 3, 2014 by Virginia Peninsula USBC.